Connor Goldson has been a constant feature at the back for Rangers, and the former Brighton player has played more times than any other defender this season. 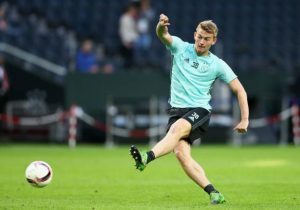 Therefore it is clear that even Steven Gerrard sees him as a first choice option and the other spot is usually rotated between the likes of Joe Worrall, Nikola Katic and Gareth McAuley. The partnership of Katic and Goldson was influential in the early half of the season as the duo negated four gruelling rounds of Europa League qualifiers to get into the main Europa League draw. However, the emergence of Worrall saw Katic being forced out of the team. The duo of Katic and Goldson started for the first time again since November against Kilmarnock but the two were at sixes and sevens for the most part. Goldson especially looked all over the place. On the back of recent performances, we would say that both the centre back positions are up for grab and no other player has faded more than the £3m signing. There always seems to be a communication gap with Worrall when the English defender starts and now that has even continued with Katic. Moreover, Goldson’s reading of the game is absolutely nowhere near where it should be as sometimes he just doesn’t see the dangerous situation developing in front of him. The Gers are already going to lose the services of Gareth McAuley and Worrall as they are in the last few months of their contract and that would leave Steven Gerrard with just two centre-halves for the upcoming season. Therefore we expect the club to sign two defenders, but the form of Connor Goldson is worrying at the moment. There is no doubt that Rangers would be better off looking for his upgrade as well in the upcoming summer transfer window. Goldson’s distribution from the back has also been disastrous on occasions, and sometimes he gets bullied up front by more physical strikers. The 26-year-old was supposed to be the leader at the back and guide his whole defence, but the defender himself needs some guidance. This must worry Gerrard as well because at one time it was thought that Goldson is an absolute no brainer to feature in Rangers’ starting eleven. 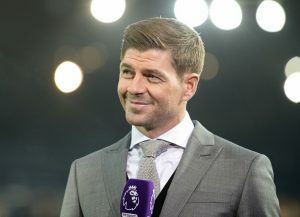 Hopefully, with not much to play in terms of trophies, players can give an audition for the next season and prove to Gerrard that they are worth starting regularly. The manager would hope that Goldson would soon find his initial form which made him an integral member of the first team in the opening half of the season. This Rangers Defender Wants His Club To Make These Signings: Can Gerrard Fulfill His Demands? Rangers To Table Yet Another Bid Of £2m For This Brighton Star: Will Gerrard Be The Key To This Move? Rangers Coming Back With Third Bid For Brighton And Hove Defender: The Best Bet For Gerrard? Brighton And Hove Looking To Make The Most Of Transfer Window: Where Can Their New Signings Fit In? Brighton And Hove Defensive Ace’s Move To Rangers Imminent: What Can He Add To Gerrard’s Squad?